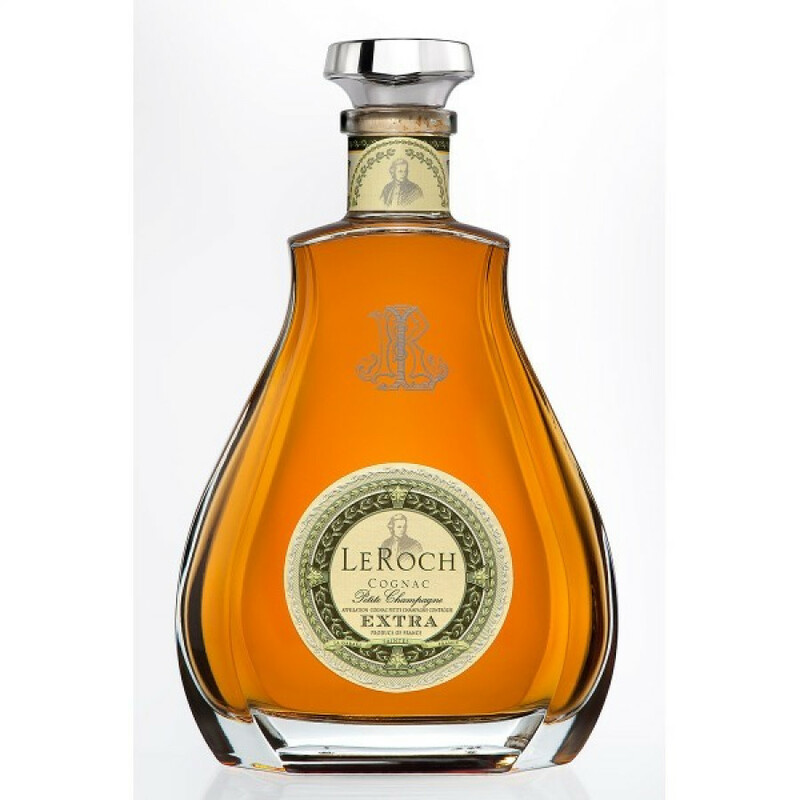 The Le Roch Extra Cognac is a super example of a top quality Cognac and offers extremely good value for money. Slightly over proof at 43%, this Petite Champagne blend is an excellent choice for a Cognac to bring out on special occasions. Presented in a striking decanter, it would make a superb gift for any connoiseur, and the quality of the Cognac and luxury presentation certainly belies the relatively low price tag. The small house of La Roch offer a small range of high quality Cognacs, and if you've yet to discover their wares, then this will certainly be one that will have you returning to discover more. And if you're a Petite Champagne fan, then this one certainly won't disappoint. Cognac Le Roch is one of two brand names that are created by the house of La Gabare. This independent cognac house was created by Jean Grosperrin in 1992. Grosperrin had worked in the winemaking industry for many years, first as a broker and then as a wholesaler. This meant that he had forged many valuable relationships with both winegrowers and merchants in the region, and was ideally placed to set up his new venture. Why is Cognac called Champagne?